All of us deserve to be happy, healthy, and to live our authentic dreams. The good news is that we have the power to feel good within - a key component in realizing a fulfilled life. Yvette Le Blowitz, a wellness blogger and founder of Spa it Girl, takes happiness seekers on a twenty-one-day journey that encourages an inward focus, allows a connection with the true self, and provides a gentle reminder about the importance of self-care in attaining a balanced and healthy life. Through her personal stories and proven tips, Le Blowitz guides others through a simple roadmap that teaches how to meditate, set clear daily intentions, exercise, eat mindfully, live a life of kindness, sleep restfully, and make time to just be. Included is a self-assessment with introspective questions that invite a look within to assess feelings. It Starts with Me shares succinct guidance that will motivate anyone interested in transforming their thinking and lifestyle to realize a healthy, fulfilled, and authentic existence. 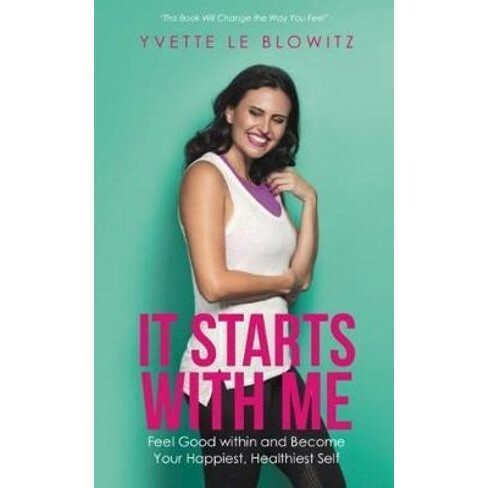 Yvette Le Blowitz is a motivational speaker, blogger, personal trainer, light worker, and founder of Spa it Girl (www.spaitgirl.com), a leading wellness spa travel site that was created to inspire girls and women worldwide to feel good on the inside and live their happiest life. She is a Down to Earth Aussie Girl, based in Queensland, Australia. It Starts with Me is her first book.